Heterotrimeric G protein and interacting effectors are relevant for agronomic significance. We can manipulate G protein and effectors, individually or in combination, to develop plant ideotypes by intelligent design breeding. Heterotrimeric guanine nucleotide-binding protein (G protein) is involved in a wide range of biological events, many of which with agronomic significance. In this review, we summarize recent advances of plant G protein research. We first retrieve maize G protein core subunits Gα, Gβ, and Gγ based on information of Arabidopsis and rice G proteins using integrated BLAST and domain confirmation. Then, we briefly introduce the distribution and function of G protein. We also describe the interaction between G protein and CLAVATA receptor, brassinosteroid signaling kinase complex, and MADS-domain transcription factor. 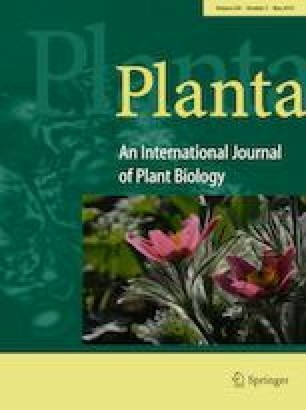 Finally, we discuss the application of G protein knowledge in intelligent plant breeding with focus on the improvement of agronomically important traits. This work was supported by the National Natural Science Foundation of China (31571671), the National Key Research and Development Program of China (2016YFD0101002), the Natural Science Foundation of the Jiangsu Higher Education Institutions of China (18KJA210002), the Qing Lan Project of Yangzhou University (QLYZU201809), and the Priority Academic Program Development of Jiangsu Higher Education Institutions (PAPD).